You never know how a single event can alter the course of your life. That’s the beauty of living in the present. Your past and future merge into the miraculous elixir that is life. Many strands, events, experiences and people intersect in these singular points to create a new you. That’s what happened to me in April of 2008, when I helped dozens of other men organize the first National Crime Victims’ Rights Week (NCVRW) held in a prison in Jamestown, California. I was not remorseful about my past crimes, nor had I developed much insight into myself. But I was around men who had. I saw in them an inner peace, gentleness, confidence, redemption and freedom that I wanted. So I followed them, listened, observed and challenged them, asking myself if this was real or just a facade. I was amazed at their integrity, maturity, responsibility and deep remorse. To see men who had murdered be so honest, open and vulnerable caused a paradigm shift in me. 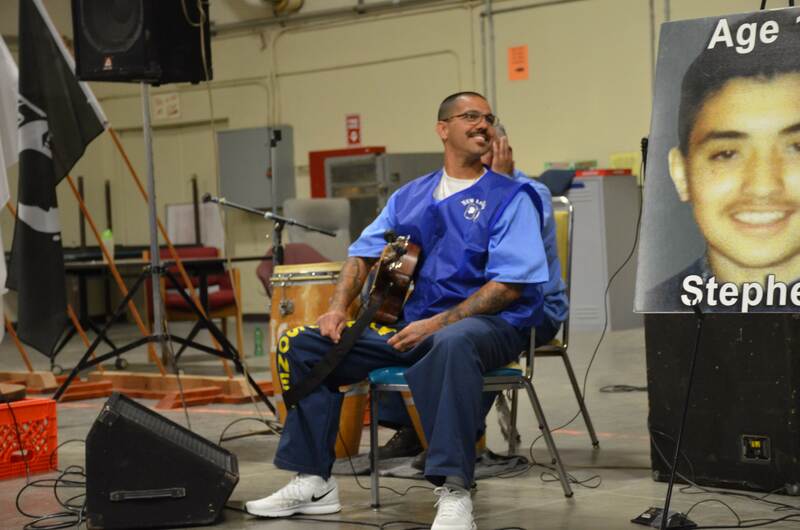 Who could have known that ten years ago, those singular events in a California prison would lead to so much healing, accountability, restoration and more men carrying the message of hope? National Crime Victims’ Rights Week is a time of reflection, pain, healing and creating meaning. During times of tragedy, loss and challenge we also find exponential possibilities. Don’t misunderstand me — the men and women who offended had a clear choice, a choice that victims and survivors did not have. 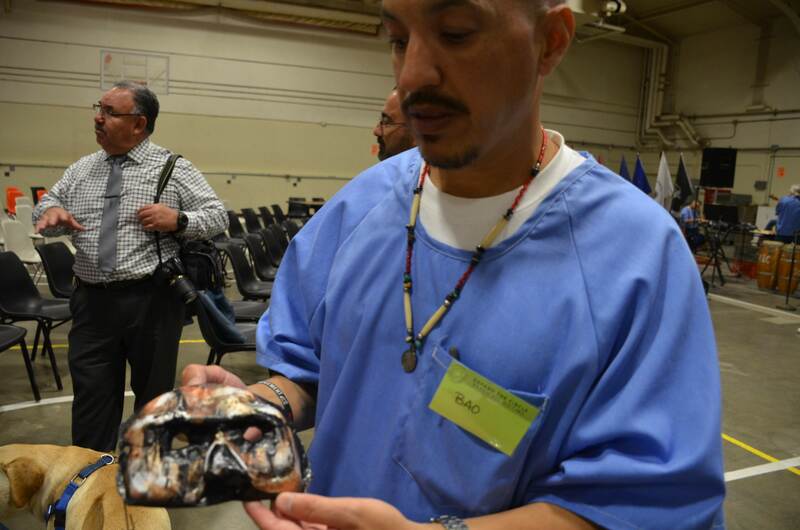 And that week was an opportunity for prisoners to acknowledge the harms they caused, and begin repairing those harms by engaging men like me to look at themselves and take accountability. This is not an easy task. It is a rigorous process that includes ridicule and conflict, and it allows you to really see the ugliness that exists in criminality. Yet these men, in honor of their victims, persevered through all that with grace, humility, patience and a conviction that if we are ever to change, it must be in our times of despair. That first experience in 2008 with National Crime Victims’ Rights Week involved talking about other men’s victims — but not my own. Still, I paroled that year a much different person. In April of 2009, I went back to Jamestown as a guest speaker during NCVRW. My friends serving indeterminate sentences (life with the possibility of parole) were still there, lighting the way for those living in the darkness of denial, minimization, rationalization and cowardice. Oddly, I was free but still in that darkness. Sure, if I compared my changes to who I used to be, it might seem that I’d grown by leaps and bounds. But my actual change was only a small step in the right direction. In contrast, it was awesome to see my friends’ commitment, dedication and compassion. Who could have known that in that moment of seeing them again my past and future would converge in what can only be described as miraculous? Like the dawn of a new day, the awakening within me began. Who could have known that the time these men had invested in me would one day manifest? 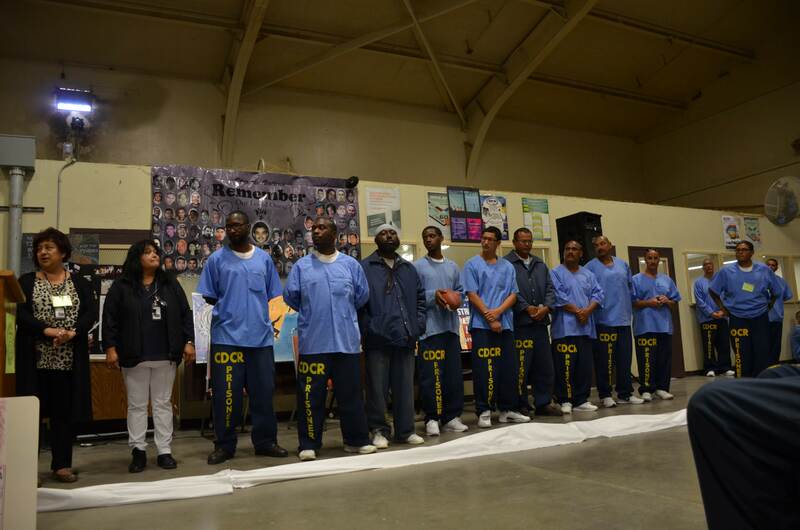 They had the courage to go against the norms of the prison culture they had created and once fed. In that place, I came face to face with my victim. I listened. Everywhere I went, he was there. I began to hear the faint footsteps of my past quickening. Don’t move, Johnny. Be quiet, no one knows. The steps became louder. I ran. I ran as far as I could yet it was as if I never moved. So I covered my ears. Only now I was listening with my heart. Damn you! Why couldn’t you just stay cold and indifferent? I saw for the first time the destruction I had caused. Finally the footsteps stopped. I was face to face with my inner child. These men who had been deemed by society unfit, unredeemable and unworthy had opened the door to where I had left little Johnny Angel so long ago. Still, I went about the mundane rigors of life and tried to live with hopes of a brighter future. I was just beginning to realize how much work I needed to do as my life spiraled out of control. I did my best to hold it together but was losing my grip. Then one day it hit me: I was responsible for the murder of an innocent man. Years earlier, when I was involved in drugs and gangs, I was the driver when that man was robbed and killed by fellow gang members. I didn’t shoot or even see the shooting. But when I pulled over and they jumped out, I understood that some kind of crime was going to be committed. I didn’t stop them. I helped them get away and I didn’t report it. After Jamestown, I knew that my inner child, whom I was rediscovering, was a being of love, integrity, honesty, responsibility and accountability. Though I had attempted to shut both him and my victim out of my conscience, the scope of my actions finally hit me. I began the tedious journey, sometimes unwilling, into the depths of my soul. As I descended, I was stripped of every mask, costume and adornment I had once used to pose and manipulate. I was finally bare. I was exposed. It was here that I began to examine all the harms I had caused. In that place, I came face to face with my victim. I listened. Everywhere I went, he was there. In music, books movies, the ocean, the mountains, the trees and stars. I could not escape what I had done. I would think: do they miss his smile? What about the light in his eyes? The sound of his voice? I can’t believe I took that away. I cried and cried. This is not who I am. So who am I? 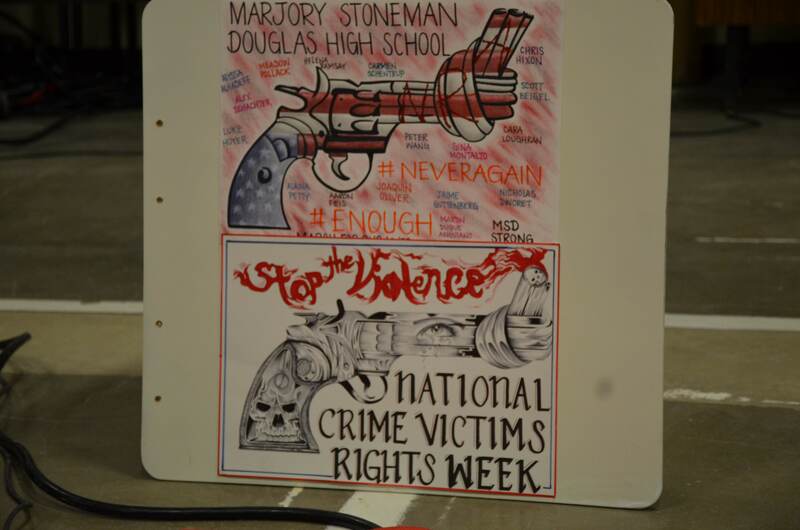 National Crime Victims Rights Week is not just some great idea for survivors, who would much rather have not been violated and had their safety and personal autonomy desecrated. It is about awareness, justice, accountability, support, empowerment, storytelling, growth and meaning. For me, it became about making things right. After all, awareness without action is meaningless. Though I now had the knowledge, it was like a good book sitting on the shelf collecting dust. So I knocked off that dust and began reading the story of my life. In 2010, I turned myself in for my role ten years earlier in that murder. What I had learned through counseling, self-help and my Jamestown peers was that this was expected behavior of anyone who wished to live in our society. I agreed. The investment made in me by the men in Jamestown who live their amends has continued to grow. 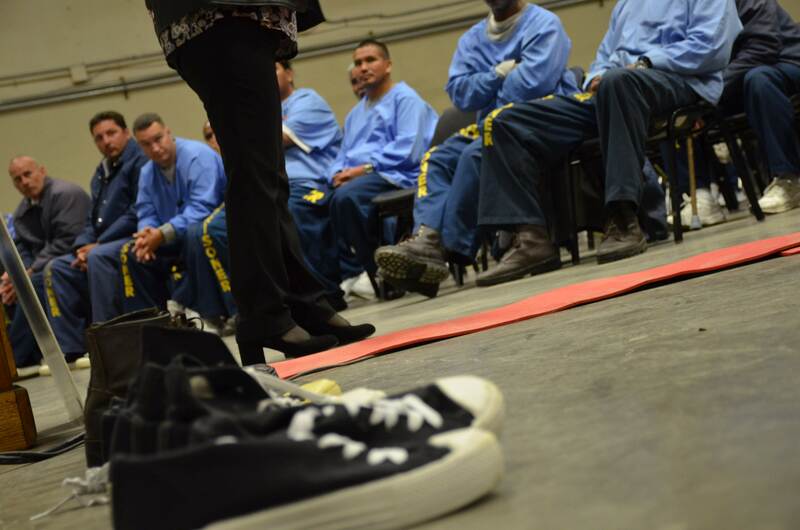 Upon returning to prison with a 15-to-life sentence, I picked up where they left off. Most of them are now home and are productive members of our communities. I was sent to the Correctional Training Facility in Soledad. There I met up with some men from the Jamestown group who were still serving indeterminate sentences. Together, we created a platform, along with the cooperation of wardens, correctional officers and substance abuse counselors, to continue the life-saving work that includes NCVRW. Now, each year in Soledad we honor our victims by helping bring awareness to men who are just as lost as I was. It is an event for us to reflect on how our actions are affecting our many layers of victims. It is a place where humanizing, empathy, accountability and amends can begin or continue to deepen and strengthen. 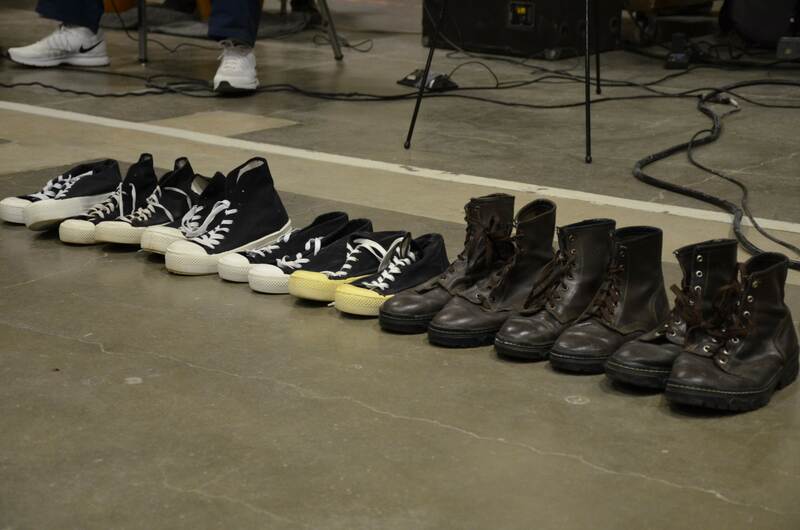 Every year we come together, months in advance, to prepare a space of safety where raw emotion can be shared. We base justice on a restorative model, and we start with our victims and survivors. We understand that “hurt people hurt people,” so we address those harms. But during NCVRW, it is all about the people we have hurt. We stress that we must recognize our obligation to make things better. 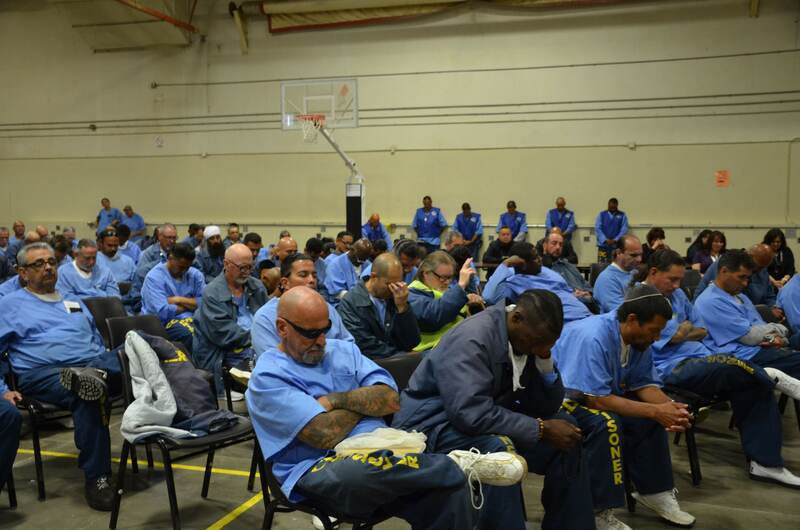 Who could have known that ten years ago, those singular events in a California prison would lead to so much healing, accountability, restoration and more men carrying the message of hope? 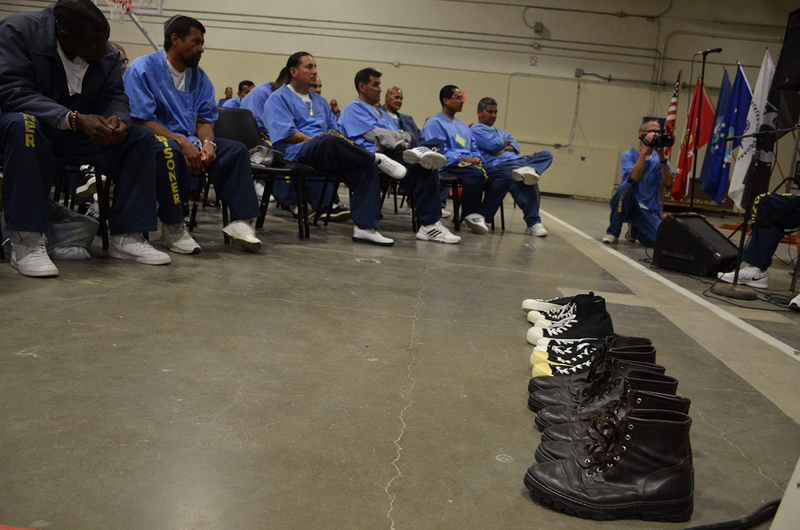 National Crime Victims Rights Week has since been extended to several prisons and is affecting thousands of men — men who are going back out to our communities. 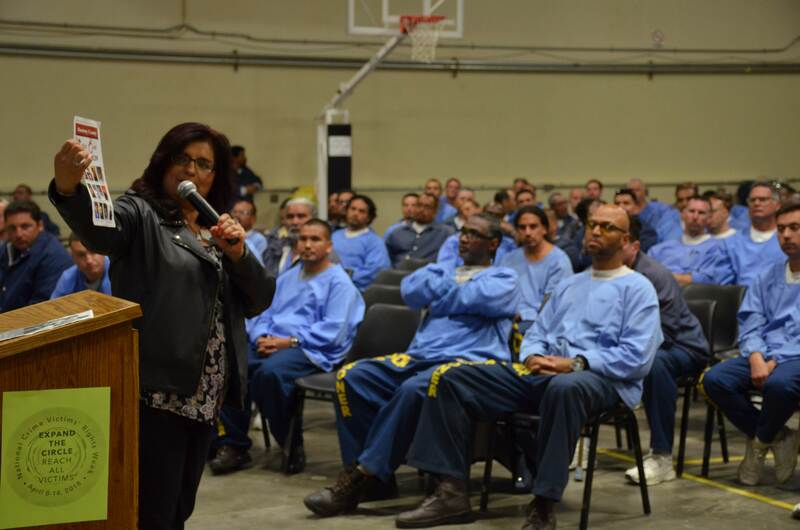 Recently I transferred from Soledad to Valley State Prison in Chowchilla to become a certified drug and alcohol counselor. It was a joy to see that the message of victims’ awareness and restorative justice was well and alive. Behind it once again were some of the men who were at Jamestown. We all owe a debt of gratitude to Jamestown’s former associate warden, Ty Rawlinson. One of the central ideas we promote is to live a life of “Do No Harm.” This means practicing nonviolence. We have now gotten more than 2,000 men to embrace and sign a pledge to live a life of nonviolence. Can you imagine? If men in prison who once were violent criminals can get along and resolve conflicts, how much hope does our society have? Thanks to those men at Jamestown and Soledad, this is the new me and my new normal. 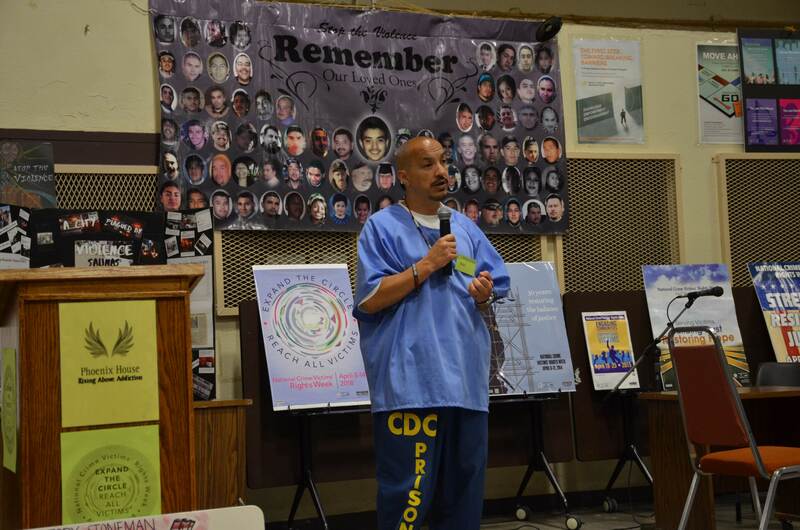 Johnny Angel Martinez is a counselor, writer and practitioner of nonviolence and restorative justice. He is currently a research fellow with the Center for Conflict Studies at the Middlebury Institute of International Studies. He is incarcerated at Valley State Prison.